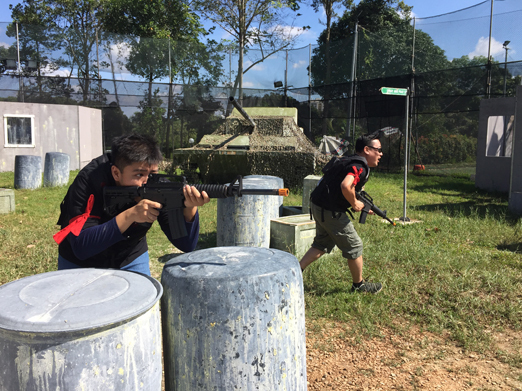 Red Dynasty Paintball Park, managed by EK Paintball Group Pte Ltd, opened its first branch at Bottle Tree Park, Khatib, in 2007. 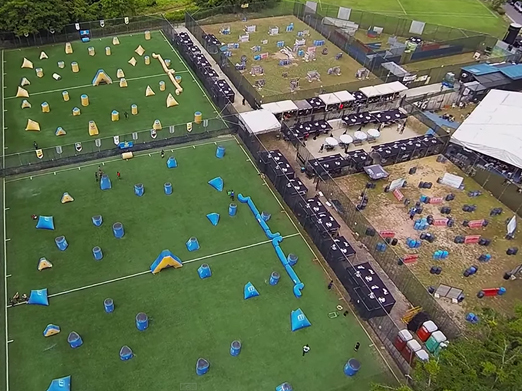 Over the years, we have assisted over 10000 companies to bring an unforgettable experience to their staff and families through paintball teambuilding. Paintball is a sport played by many around the world and from all professions and lifestyles. It is a sport where women and men compete equally, and, which is not dominated by the younger nor the faster. Like a game of chess, being able to think quickly and decisively, is what makes you a unique individual in paintball. Teamwork and determination, not merely strength, speed or agility, are keys to success in the sport. The memory of your colleague sitting beside you right now shooting you in paintball brings such an adrenaline rush that you know you want to win him or her in the next death match! Paintball is an adrenaline rushing sport which is safe (statistically reported to have lesser injuries than most sports!) and suitable for people of different gender and physique. 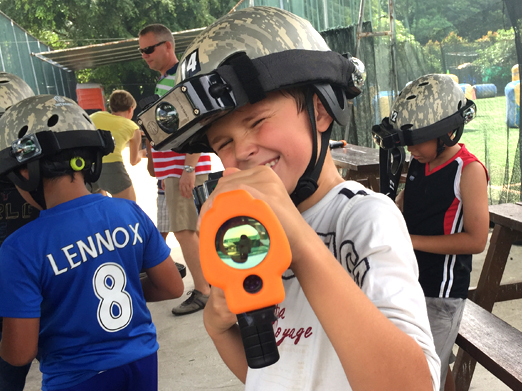 Paintball is a fun activity that helps to enhance self confidence, trust, decision making skills, communication, leadership and teamwork. 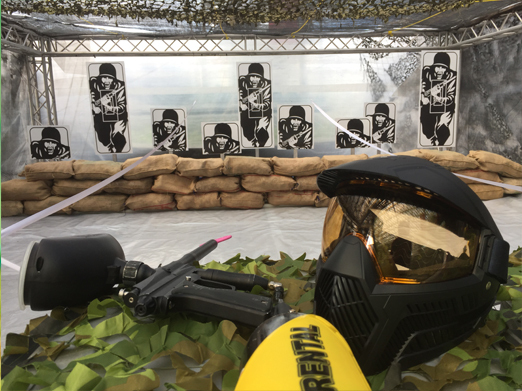 While many play paintball to have fun, organizations and corporations are finding paintball to be a game which promotes corporate teambuilding, increases camaraderie within the company and enhances employees’ leadership skills. Red Dynasty Paintball Park offers the most reliable and advanced paintball equipment. Our equipment is carefully maintained on a rigorous schedule and cleaned to provide the most comfortable experience for all. Our facilitators are highly competent in the delivery of team building activities and will give complete attention to your safety and needs. 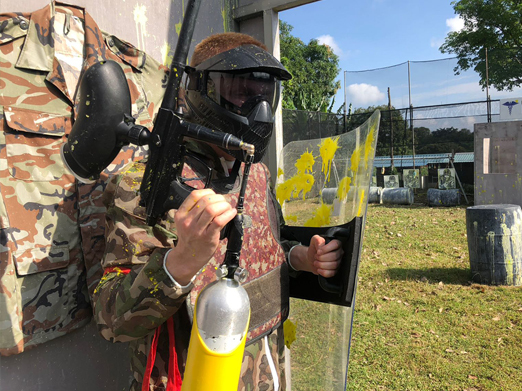 Red Dynasty Paintball Park is the first paintball park in Singapore to offer speedball at a regional competitive level for players who are interested to play at competition paintball. 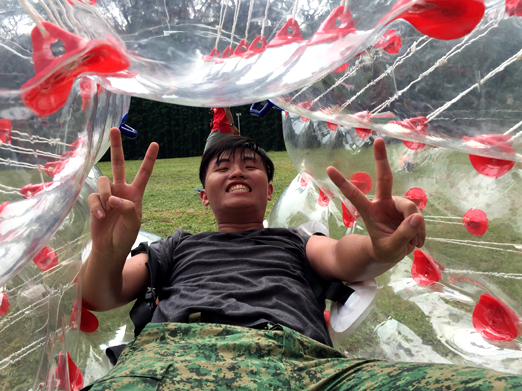 Our head instructors are well-known in Singapore and regionally with vast experience in the sports and strong team-building facilitation backgrounds. 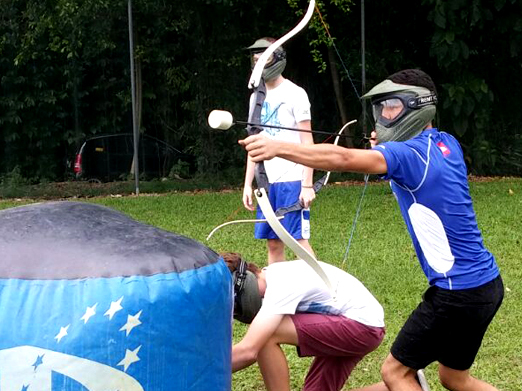 With facilities catering to both recreational and competition paintball players, what are you waiting for? Come visit us today at any of our branches! 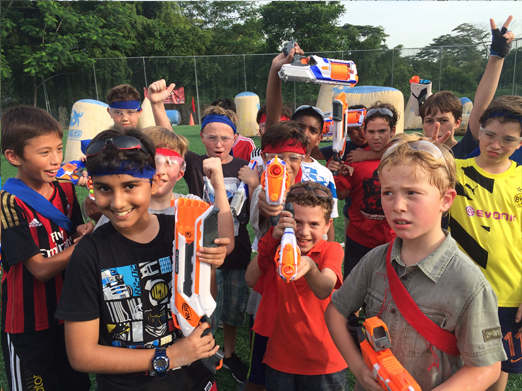 If you have any queries feel free to contact us at 6659 4782 / 6659 8095 / 6755 7537 or email us at info@weplaypaintball.com.